Don't be fooled by a nice, cool day. Your child is still in danger if left alone in a car too long. Safe Kids reports heatstroke deaths have occurred in 11 different months of the year and in nearly all 50 states. Parents may mistakenly think they can safely leave a child in a vehicle for a “quick” errand, but that's not the case. Temperatures inside the car can be 20 or more degrees hotter than the temperature outside, rising to dangerous levels in minutes. So a nice 70 degrees outside can warm up to the 90s in minutes inside the car. It only takes a few minutes for tragedy to occur. Heat is much more dangerous to children than it is to adults. When left in a hot vehicle, a young child’s core body temperature may increase 3 to 5 times faster than that of an adult. This could cause permanent injury or death. Unfortunately, this is an all too common occurrence. Since 1998, at least 605 children across the United States have died from heatstroke when unattended in a vehicle. In Texas, 32 deaths have occurred since 2010, including five last year. Safe Kids Worldwide says that heatstroke is the leading cause of non-crash, vehicle related deaths for children and that young children are particularly at risk as their bodies heat up three to five times faster than an adults’. According to news reports, a 1-year-old girl in North Richland Hills, Texas, may have died after being left in a car for too long .The high at Dallas/Fort Worth Airport on April 22 was 84. Dial 911 if you see an unattended child in a car. Never leave your child alone in a vehicle, even for 1 minute, at any time. Even on cool days. Set safe habits: leave a cell phone, purse, briefcase, etc. 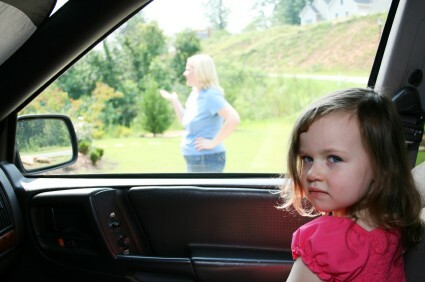 in the back seat before driving, forcing you to always check the back seat and see a child is/is not back there. Have a plan with your daycare provider to contact you within a few minutes of being late or absent, even if it’s only one day. If a child goes missing, always check the cars and trunks first. Cook Children's partners with the community to raise awareness and meet learning needs centered around injury prevention and child safety equipment. Whether it is the correct use of a child passenger seat, drowning prevention education in the schools, or providing a better awareness of poison hazards to new moms, we are working to create safe homes and communities for children. Learn more, here. We need to get this in the hands of Donna Farr. I will print it out. Did you know there's never a safe time to leave your child alone in a car? Never. Here's why.